Our family hosts "Baking Days" near Christmas. About 5 years into it, my husband and I came up with the idea of aprons to wear. Everyone brings them back each year. 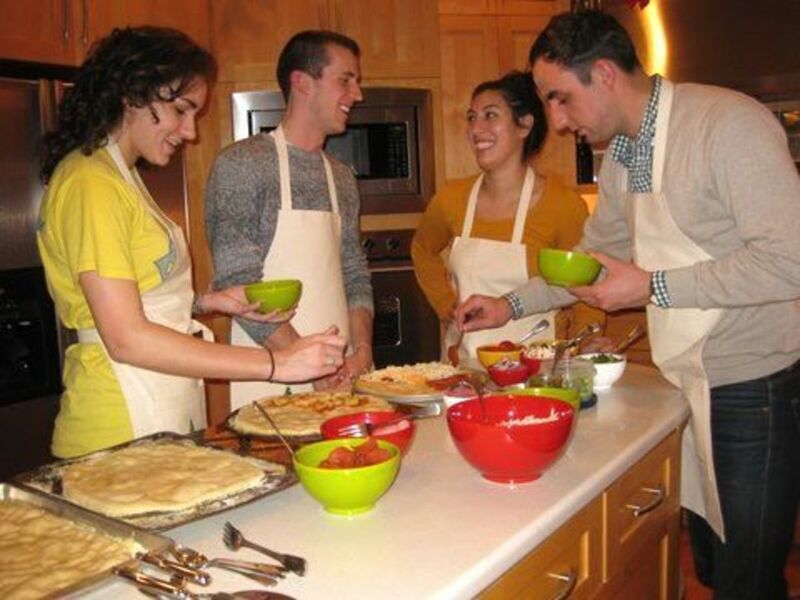 Your event may be an annual family reunion, 4th of July picnic, Summer BBQ, Christmas, Hanukkah, Thanksgiving, Eid al-Adha, Holi Festival, or anything that involves baking, cooking, or eating! 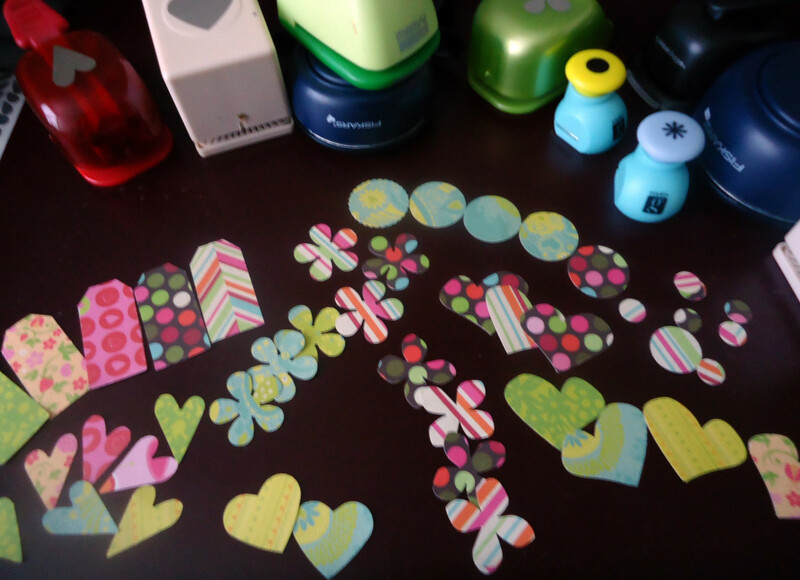 Even an on-going messy craft event. The apron "extras" include the machine embroidery, the stenciling, and the pockets. Instead, you could have no pockets, use iron-on transfers for an image, write a message with a fabric-safe pen, or make them with a theme printed fabric having no embellishments at all. Honestly, this is an easy and fast project. It will take longer to read the instructions than it will to create an apron. I suggest a mid-weight fabric. I used this plain canvas which is inexpensive, holds the stencil paint nicely, and is easily re-purchased if you need to match in the future. Poplin offers more color and print options to avoid embellishments if you are so inclined. Denim is always a good choice. Avoid the light-weight fabrics used for quilting unless you have a specific reason to need it. 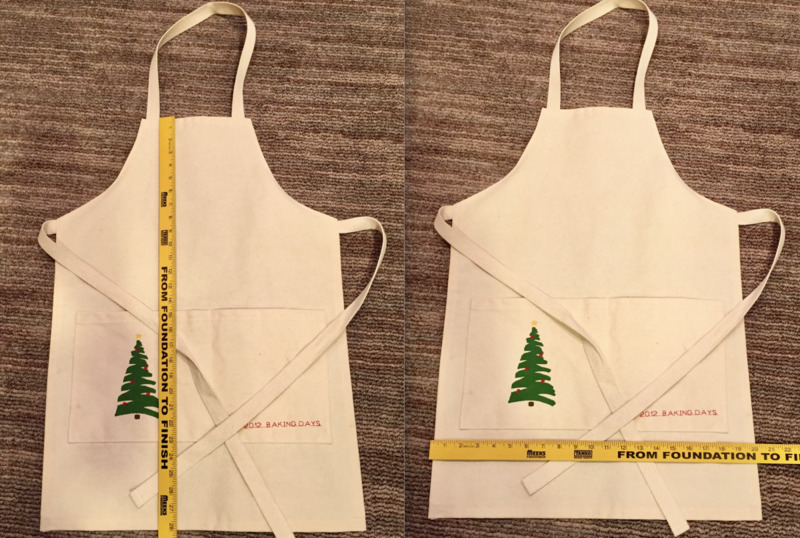 Since aprons don't have to be an exact fit, mine are all the same size in length and width. If your group includes toddlers, tall members of an NBA basketball team, and some Sumo wrestlers you may want to measure and cut accordingly. Or find a new friend group. (Just kidding). I used an apron we have as my guide cutting an extra half-inch at the edges. The neck strap and waist ties. This component needs some thought. 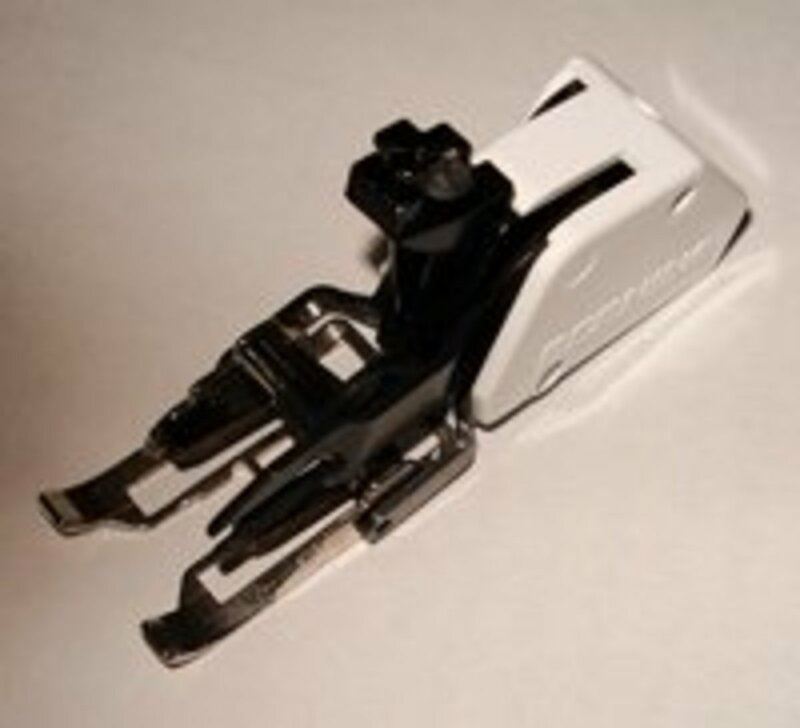 It needs to be sturdy, yet flexible enough to tie easily and be comfortable. Woven is good, but consider the ends for fraying. If needed, the ends could be zig-zag stitched, serged, hemmed, used with a seam sealant, or heat-sealed if you choose nylon webbing. Knitted cording can be used if it's strong enough to keep the neck strap from sagging from the weight of the fabric. 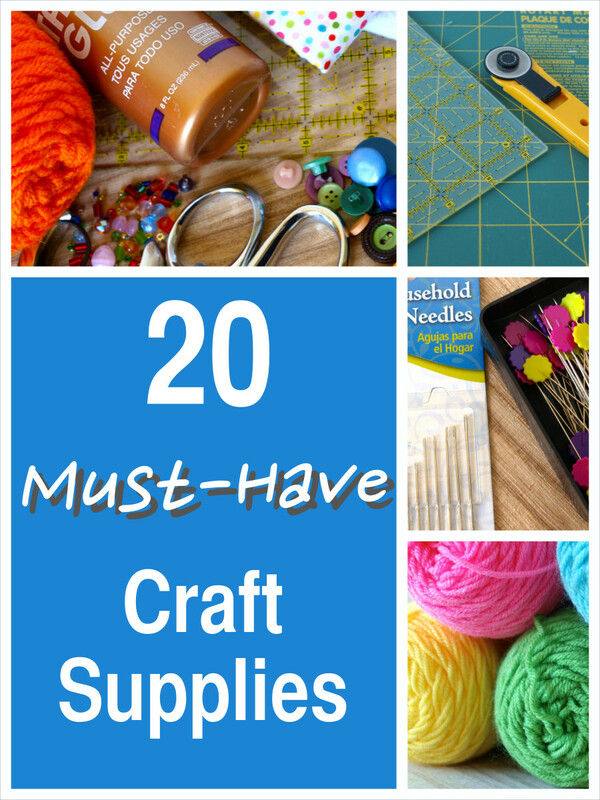 If you can't find pre-made cording, you can always make these components from the same fabric. More fabric and more time would be required. Enlarge this to see all the measurements at once. 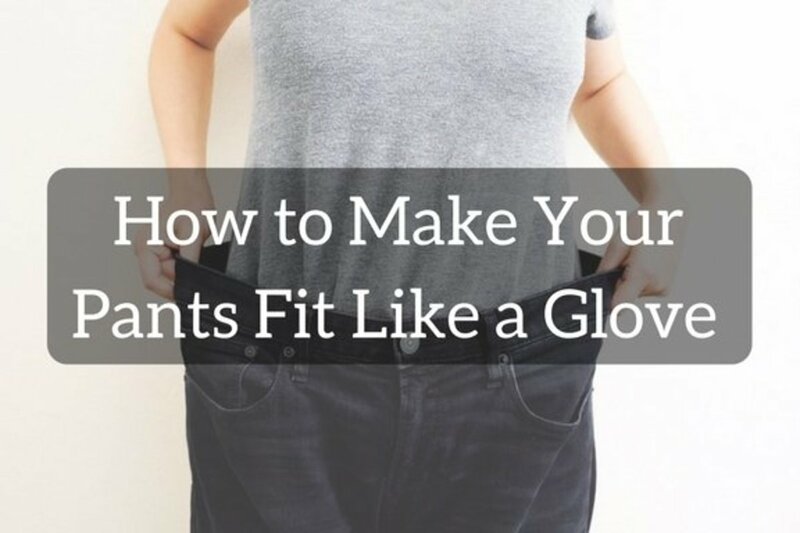 You could use an existing apron or shirt as a guide to the size instead of measuring. This finished size is 28" long by 20" wide. Remember to cut 1/2" or 5/8" for the edges. These pockets are 17" wide and 8" high with a seam in the middle making two sections. This "arm curve" is placed 8" down from the top of the bib with the neck loop having a 10" drop. Cut your neck loop length about 22" to leave room to sew. My side ties are 27" long. Consider your fabric and tie requirements remembering your seam allowances. If your fabric is 45" wide, you will be able to fit one apron selvage to selvage, cutting approximately 30" for the length from bib to hem. The remaining 15" of fabric could be used for pockets applied to the lower half of the apron. 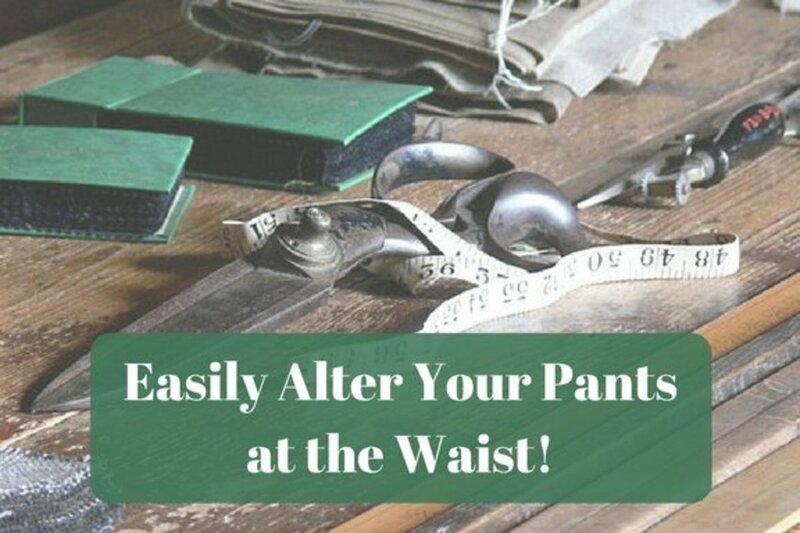 If your fabric is 60" wide, you will be able to fit two aprons selvage to selvage, with no remaining fabric for pockets. You would need to purchase extra fabric. The 20" width of the apron will need almost 2/3 of a yard, which is 24". 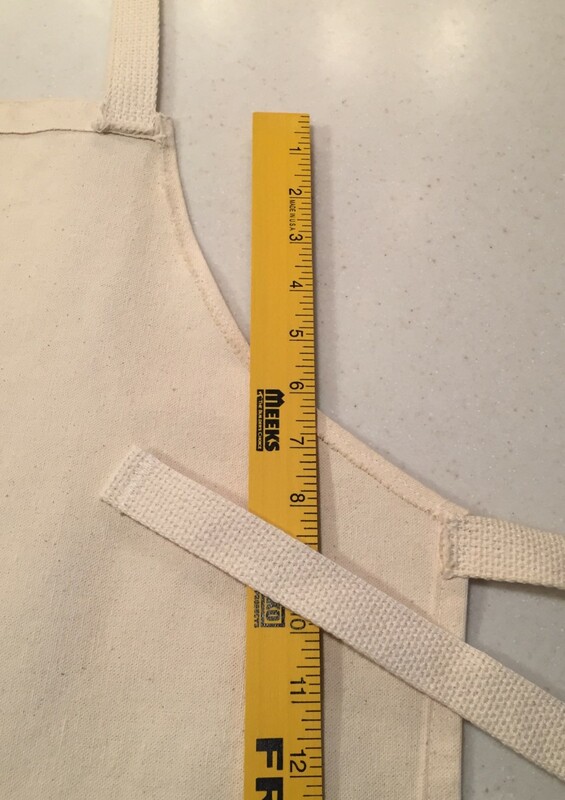 Therefore, 1 1/3 yard of 45" fabric will give you two aprons with pockets allowed, while 1 1/3 yard of 60" fabric will yield four aprons with no extra for pockets. You can use a different fabric for the pockets—a color or print. Determine the number of aprons, your fabric width, pockets or not, and purchase your fabric. For each apron, you need about 6 1/2 feet of tie/cord. Yes, over 2 yards! 22" for the neck, 29" for each side tie equals 80" which is 6.6 feet or 2.2 yards. 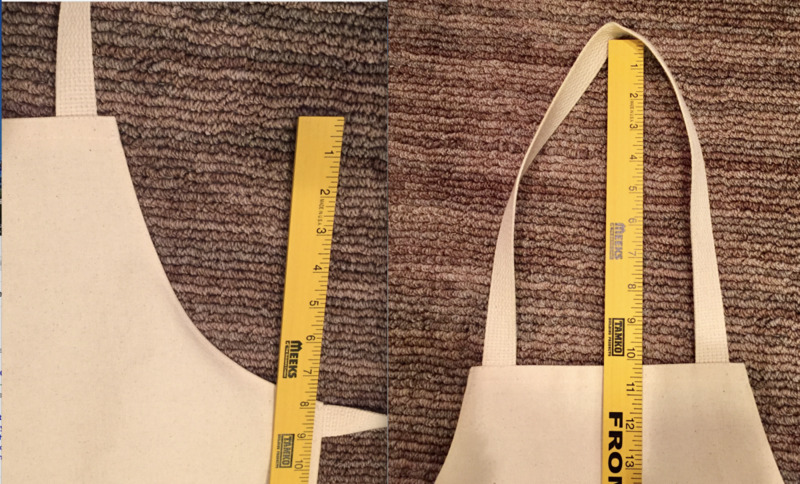 If you don't have an existing apron for a guide, try taping paper grocery sacks together to cut a pattern until you get it the way you want it. Freezer paper can work, also. 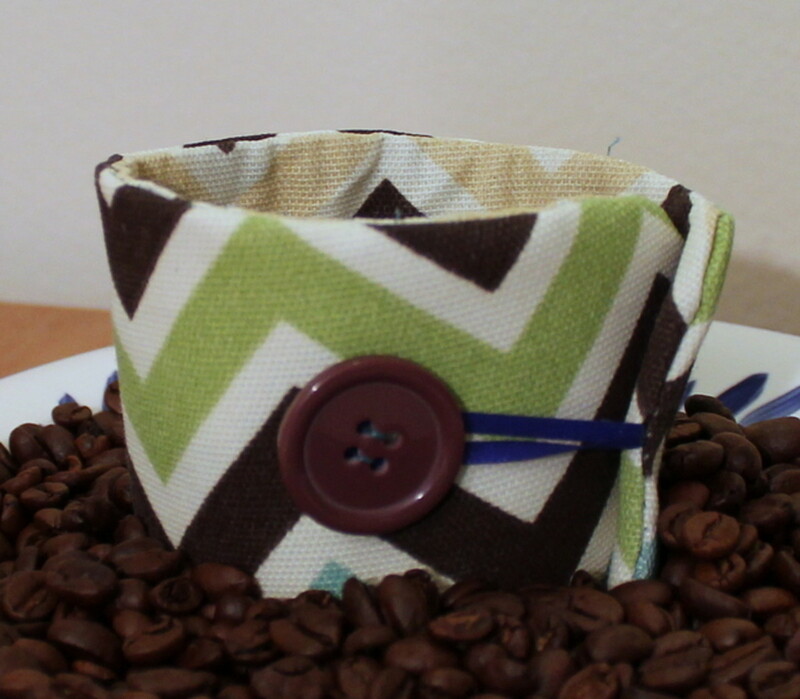 Even cheap fabric that is leftover from another project or an old beach towel can be re-purposed. If you have decided to use and embellish pockets, you should consider finishing those first. Once they are on the apron, they are cumbersome to work with. Cut them any size you like—these are 17" wide and 8" deep. Hem around all edges. You may like to press first or pin in place. If you do machine embroidery, you may want a stabilizer fabric on the back. Embroider, stencil, paint, or iron on a transfer image at this point. Place and pin on your apron front. Sew three edges leaving the top open. Stitch down the center for two sections, make more sections, or leave as one. Note: I used only a straight stitch on a regular sewing machine on this entire project. You could use a serger on the perimeter of the apron with a wide bite and short stitch length to fully encompass the edges so as not to fray. The finished pocket. My husband cut this Christmas Tree stencil from a Mylar stencil sheet. There is stitching down the middle for two sections. This also shows my tie choice which is a 1" wide woven which hemmed easily. For the curved edges, I let the fabric be my guide. This canvas folded itself into a nice 3/8" seam allowance, so I did not try to force a wider seam or finish the edges in any way. I sewed near the raw edge with a short stitch that will not allow fraying. The backside is not exactly elegant. For the straight edges, I did turn the raw edge inward for a finished edge. I attached the tie strips after the perimeter stitching using a few back stitches to make it sturdy. I also hemmed the ends of the tie cord. This is a woven cotton that was very easy to fold and sew. Consider your tie strips and how to finish. If it is knitted, you may sew the outer ends or tie knots at the end instead, like some ties on hooded sweatshirts. Synthetic webbing can be heat sealed using a flat blade on a paint scraper that's been held over a flame. Ask the fabric merchant if you have questions on how best to finish the ends. 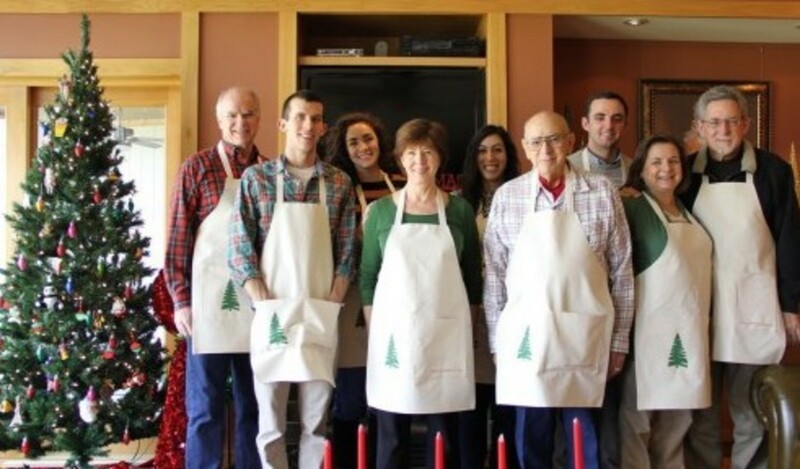 At some point, family traditions fade away and morph into new traditions. Having something tangible to remind you of the "Good Old Days" will bring back memories. You will also know that those who have the same item will be thinking of these gatherings as well. 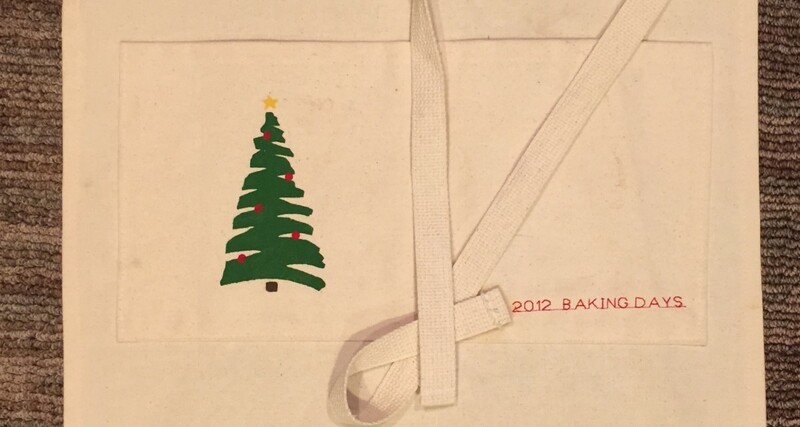 I might encourage you to use these aprons at any time, not just the one holiday time-frame. Using this often will keep those good times in the present, not just the past. Some of the cousins, customizing their pizzas. 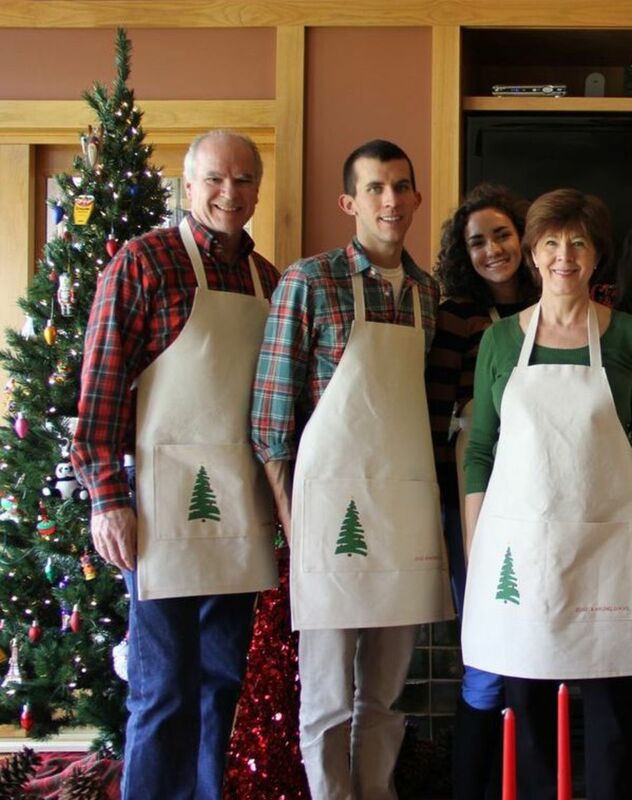 This photo was taken in 2012—and this isn't all the aprons! Two people are in Japan, and a cousin or two are not depicted here. I made 14 and it really didn't take that long. When Does Your Family Gather? Great. A shamrock or a pot of gold? I can do this in time for our St Patrick's dinner.